Whether a fan, parent, booster, staff member or athlete, at Neff we give you the power to customize our high-quality school apparel and school awards to suit your needs and your lifestyle. From sport polos, to school letter sweaters, to softshell jackets, we've got the pieces you want to show your support and spirit. And with our new apparel designer software, creating custom designs is easy. Just choose from our layout templates, type in your text, and select from a full library of school mascots or sport/activity graphics for a unique, custom end result. Because your satisfaction is so important to us, we've given you the ability to see a virtual preview of your design each step of the way! So take a look at each one of our pieces of quality, school apparel. Where to start? Try our popular line of N-Tek softshell outwear. Take your pick of the men's and women's storm collar style, the hooded N-Tek parka softshell jacket or the N-Tek softshell vest. 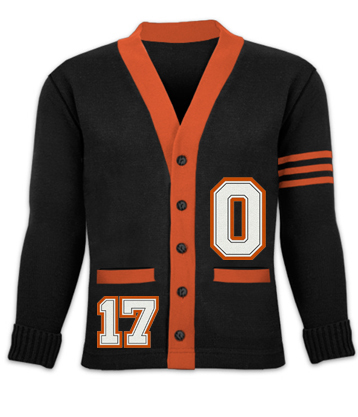 Or view our OW721 and OW711 for a softshell take on our popular, traditional varsity letterman jackets. Custom design your own performance fleece modern versions of everyone's favorite wardrobe staples. Our performance fleece line features a full-zip fleece, a quarter-zip fleece, a hooded fleece and matching performance fleece pants. 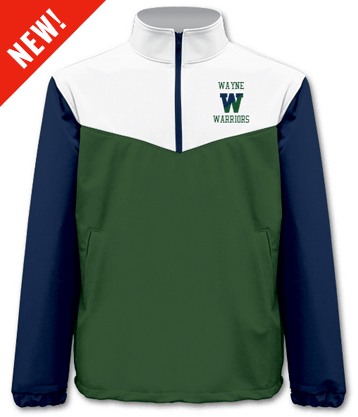 Add your custom school designs, mascots and logos to custom hooded school sweatshirts or crew neck school sweatshirts, which feature high-quality tackle-twill embroidery that's made to last, unlike screen printed designs. 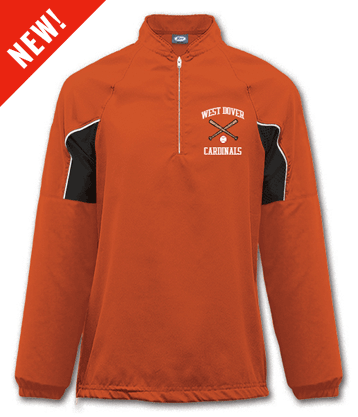 Outfit your school students, staff, coaches and boosters in one of our many sport shirt polos. Let your pep band pump up the spirit as they perform in school rugby polo shirts. Provide teachers with a casual, classy houndstooth gingham button down shirt for casual Friday or external events. Give coaches a comfortable, cool Infinity sport polo that shields them from the sun, breathes and manages moisture and fights stain-causing bacteria and odors. Our classic, vintage custom school sweaters are the perfect piece for students?providing a styling alternative to varsity jackets. Custom school sweaters showcase hard-earned chenille varsity letters and school patches while providing a light-weight alternative to a wool or softshell jacket. 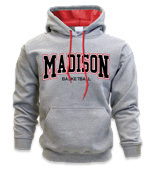 School sweaters are great for groups, clubs, athletics and even boosters, with numerous color options and decoration styles. Looking for basics? Try our t-shirt and short collections. Our tees include everything from basic cotton knits, like the Athlete Short Sleeve Tee or Champion Heavyweight Tee, and include pieces made for performance, like the Vapor Performance Short Sleeve Tee to keep you cool and dry. Our collections of shorts are perfect for games, practices, activities and general wear! Choose from several 9" inseam selections, designs like camo, and mesh or nylon fabrics. Not sure where to start? Try the customer favorite Digital Panel Camo Short! Take a look at our collection of compression wear for your athletes. We carry sleveless, long sleeve, short sleeve and three-quarter sleeve styles. Each piece is ready to add your school logo or name to make it spirited and one of a kind! Top everything off with our collection of customizable hats and visors, as well as custom knit hats made by Pukka, which feature spirited poms and drawstrings. Comfort meets spirit with our new line of colorful spirit scarves! Our scarves are made with high-definition knitting and 100% acrylic fabric, measuring approximately 7" x 54". The front of the spirit scarf proudly displays your team name, school name or mascot and with your school logo or mascot on each end. The back of the spirit scarf back can be made in one solid color or with a contrasting stripe design. 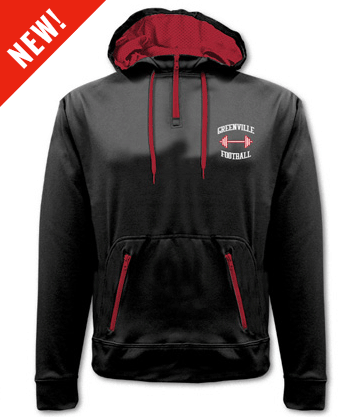 Don't forget to take a look at our varsity letterman jackets and school awards!